The Woju singer has been in a legal tussle with his former label G-worldwide for a few months. 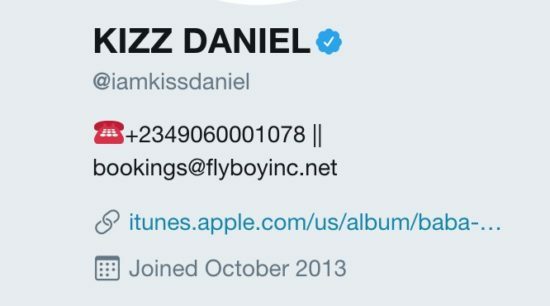 Probably from advise from his legal counsel he has now changed his stage name to read Kizz Daniel. It does kinda make sense I think..Kiss Daniel is still Kizz Daniel only now pronounced with a Zee.. And well G worldwide is suing Kiss Daniel and not Kizz Daniel..